Is It Better to Rent or Own in Retirement? You’ve probably had it drilled into you since you were young that owning a home means that you are on the road to success. For generations, buying a home was considered the cornerstone of the American dream, but is that still the case? Is buying really better than renting? You may be surprised by this, but the Harvard Joint Center for Housing Studies tells us that the majority of renters are 40 or older and that there has been an increase in the number of renters in their 50s and 60s. 1. Is Your Home Providing A Return On Your Investment? A common cliché is that your home is an investment. But despite the benefits of homeownership versus renting, owning a home can be a considerable drain on your resources. It’s true that you can gain from owning a home. If you bought when the housing market was low, you may have amassed a large amount of equity. But that equity only serves you well if you are planning to sell. Unless you downsize or move to a cheaper area, anything else you buy will be a similar price; therefore, the equity you gain will just be going towards your new home. But what if you feel like you are throwing away money on rent? While rent payments only go into the hands of a landlord and don’t increase your net worth, there are additional hidden costs that come along with homeownership that you might be forgetting. If you own your home, you need to budget for property taxes, maintenance, and insurance. Not to mention the time and effort required in keeping up a home. If you are in it to invest, let’s consider an example. Say your mortgage interest rate is 5%. If you estimate that, based on your risk tolerance and time horizon, you can expect an investment return of 4%, it would make more sense to pay down your mortgage. Otherwise, you’re potentially throwing away 1%. However, if you are an aggressive investor and believe you could earn 8% on your investment, it would make more sense to invest. Or, think of it this way: if your ownership costs total $2,000 a month and you could rent your ideal property for $1,800 a month, you have $200 to invest. Use a calculator to compare the potential investment growth with how much equity you could gain. 2. Is the Tax Benefit Worth It? If you enjoy benefitting from the tax deduction that home ownership offers, renting won’t look enticing. But remember that in order to receive the deduction, you must itemize your taxes. Depending on the value of your home, the standard deduction might be more than the interest rate deduction. Also, as you pay off your mortgage, the amount you dedicate to interest decreases each year, meaning you will receive a small deduction. And if you have already paid off your home, you can only deduct your property taxes. 3. What Can You Handle? As you age, you might realize that you can’t handle the upkeep of your home. Even if you previously enjoyed puttering around with tools and landscaping the yard, your health might prevent you from continuing these activities. Take a look at your lifestyle and make an informed decision. If you would gain peace of mind with someone else maintaining your residence, you might want to rent. You may be drawn to the amenities that come with renting and want to be part of a community with others who are in the same phase of life you are. Even if you enjoyed living in the suburbs or country as an empty-nester, you may be drawn to a more urban setting with more transportation options. Retirement is a completely new season of life, so you need to evaluate how you want it to look instead of relying on old ways of thinking. 4. 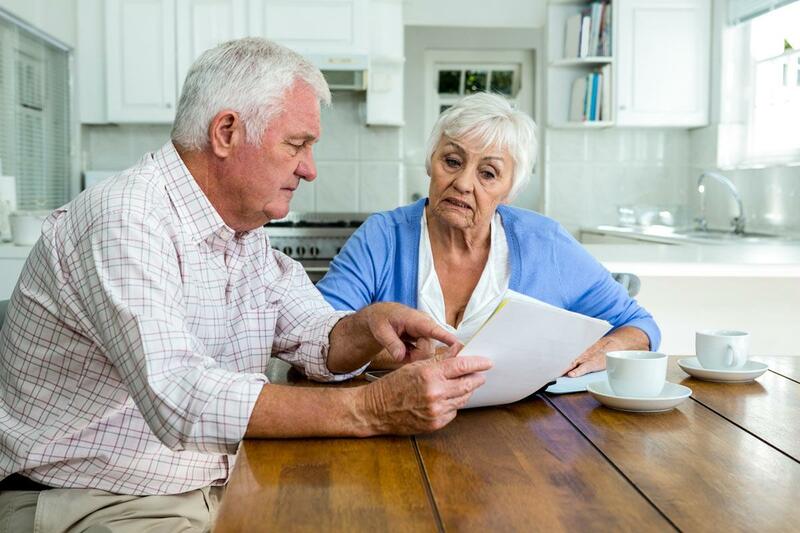 Are You Planning to Leave Your Home To Your Heirs? If part of your estate plan is to have your children inherit your home, it makes the most sense to stay put as a homeowner. According to a Trulia study, it’s only worth it to be a homeowner if you are going this route. Otherwise, it’s always cheaper to rent than own in retirement. One of the most important benefits of owning a home is building equity. If your children sell the home when you pass, the equity becomes their inheritance. But again, you need to weigh the pros and cons of the potential growth of that equity. If you sell now when the market is up and rent for considerably less, you could invest the equity you gain from the sale and use that money as an inheritance. Do need more convincing that homeownership may not be the best financial decision for your golden years? Take the time to watch this video to get a thorough picture of why homeownership might not be your wisest choice. Whether you rent or own in retirement is a personal decision you must make based on your unique set of circumstances and values. Do you own your home outright? How much equity do you currently have? Does your home require minimal upkeep? How are the advantages and disadvantages balancing out for you? Is it time to reevaluate your situation? I would be happy to help you think through your options and make a decision that will benefit you for years to come. Click here to schedule a phone call.